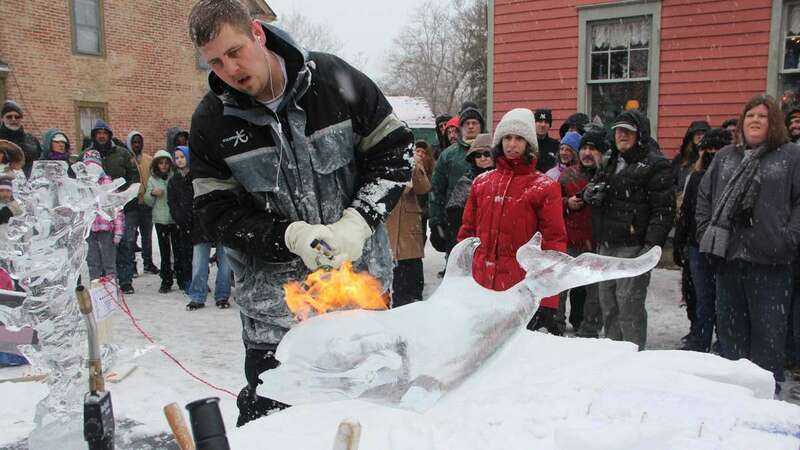 With seven minutes left in the competition, Gerald Ford held his 4-foot-long ice dolphin to a base delicately carved to look like a spray of water. 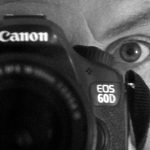 “It won’t stick,” he muttered. After more than two hours of furious work, it came to this. If the dolphin would not stick to its base, all was lost. Using a small hot plate to soften the ice, he tried again. This time his hands came away and the dolphin remained, seeming to defy gravity. The crowd broke into applause. 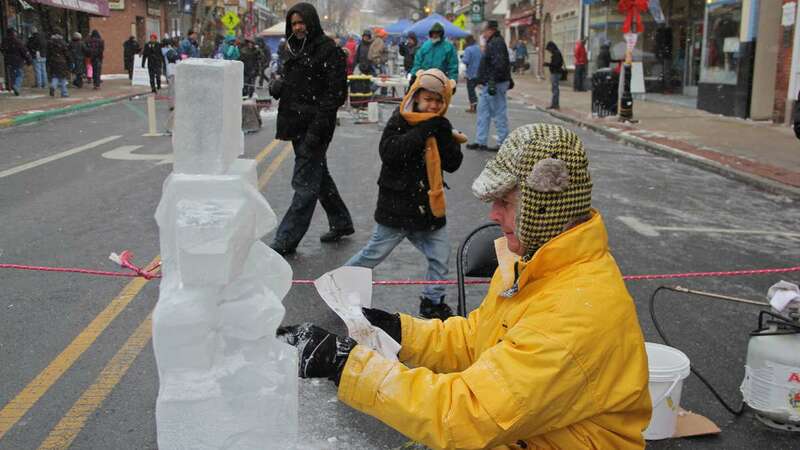 Ford, a chef from Rye, N.Y., was one of eight sculptors competing in Mount Holly’s 20th annual ice carving contest. 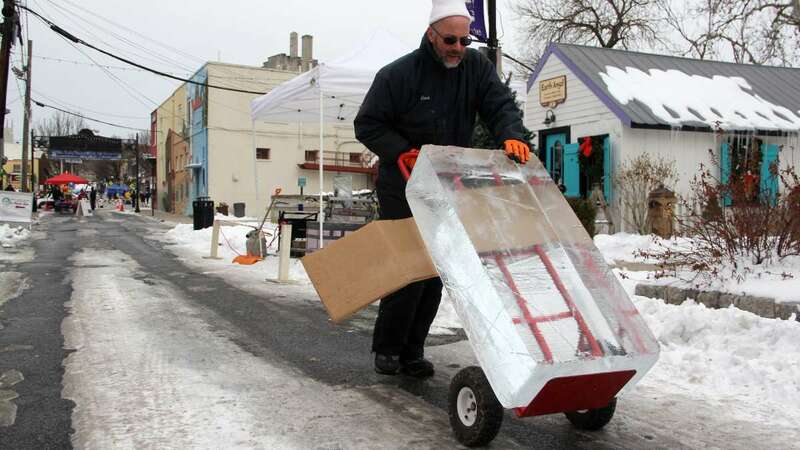 Each competitor gets a 300-pound block of ice and two and a half hours to turn it into something magical. 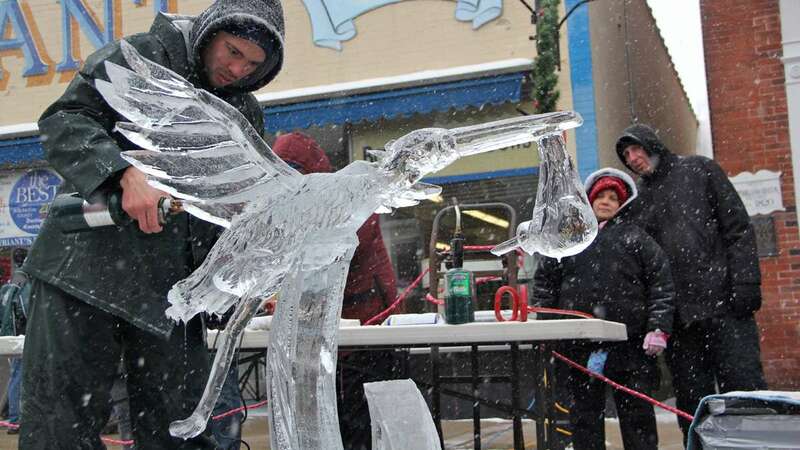 The event is sanctioned by the National Ice Carving Association, so in addition to $3,500 in prize money, carvers can earn points to qualify for national competitions with prizes of $10,000 and more. 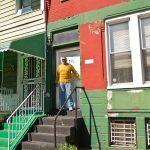 For this reason, Mount Holly is able to draw top competitors. 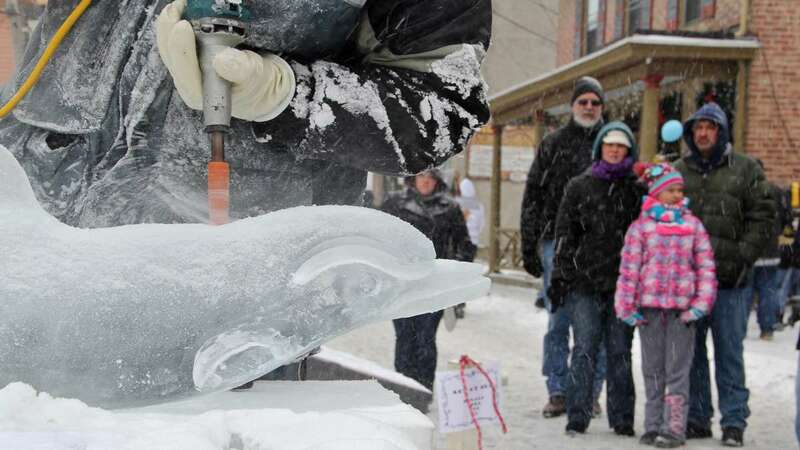 The contest, in turn, draws hundreds of people to town on what would otherwise be a sleepy midwinter weekend. 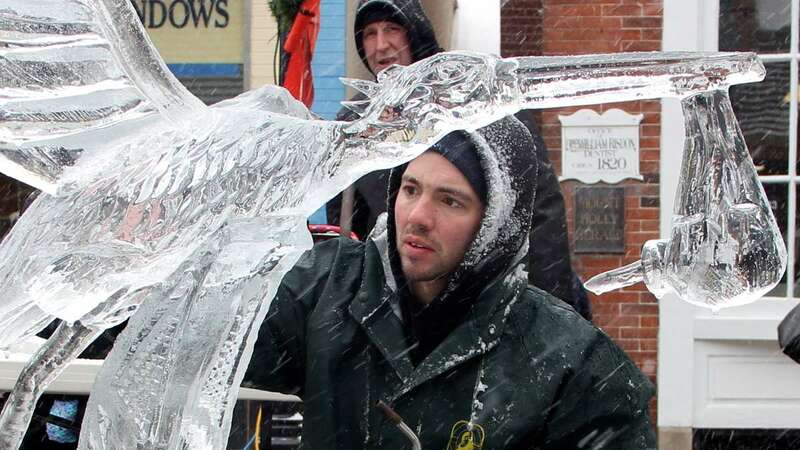 “It’s a big day for businesses, for restaurants it’s probably the busiest day they’ll have all year,” said Rocky D’Entremont, who has helped to organize the festival since its inception 20 years ago. As the seat of Burlington County government, Mount Holly is home to the county’s courts, social services, jail, and bail bondsmen. 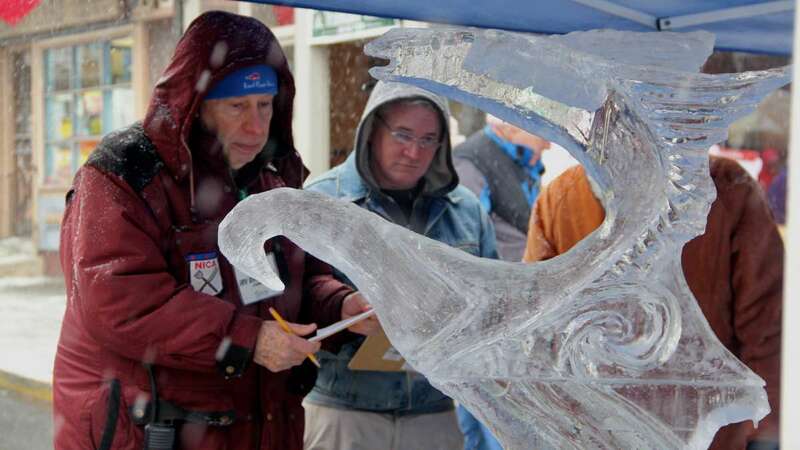 Monica LoFurno of Glen Mills, Pa., is the matriarch of an ice carving family. 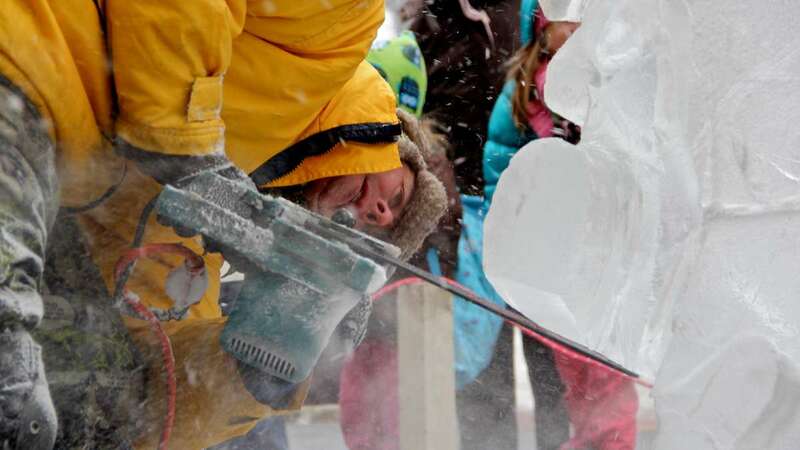 Her husband and two sons are professional carvers and she has been competing at the amateur level for three years. Two years ago she took the gold in Mount Holly, but this year is different. Her ambitious sculpture, “Aquaflight,” depicts a flying fish leaping from a curling wave, but the fish is missing a wing. She had run out of time. “The surface wasn’t flat,” she said. 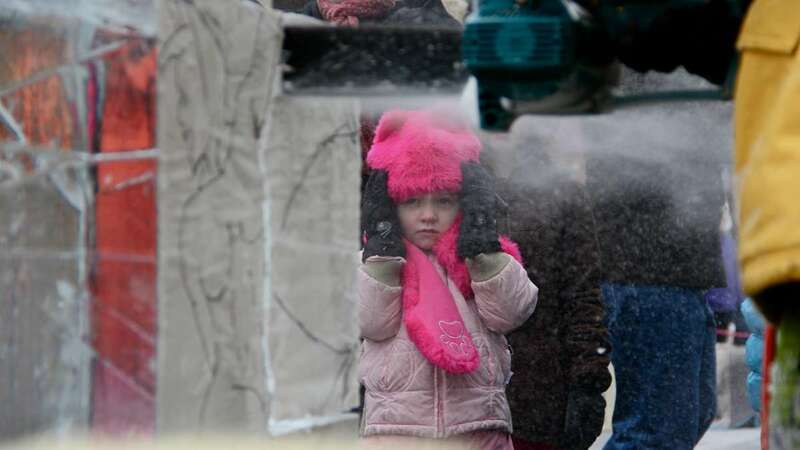 “If the surface isn’t flat, it won’t stick.” She doesn’t linger over her loss. 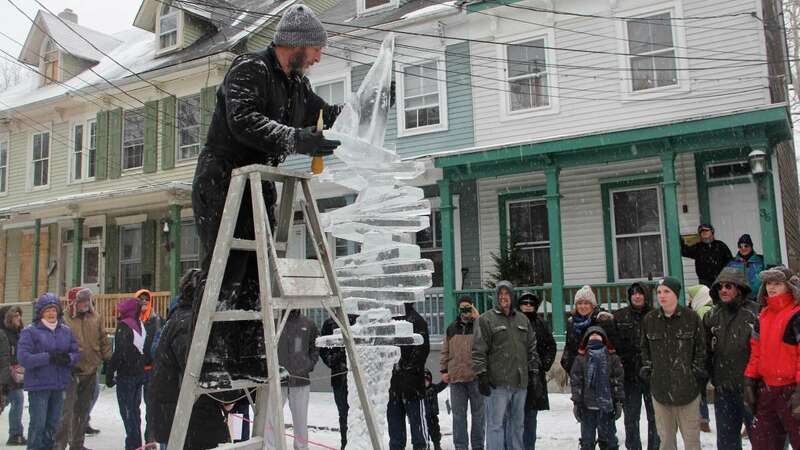 Instead, she hurries down the hill to check on a competitor and winds up helping him to finish his sculpture. After all, when the sun comes up tomorrow, success and failure boil down to the same thing, water.